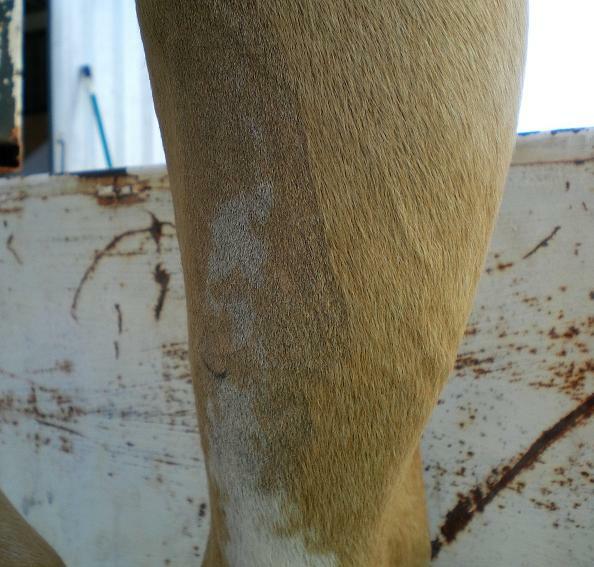 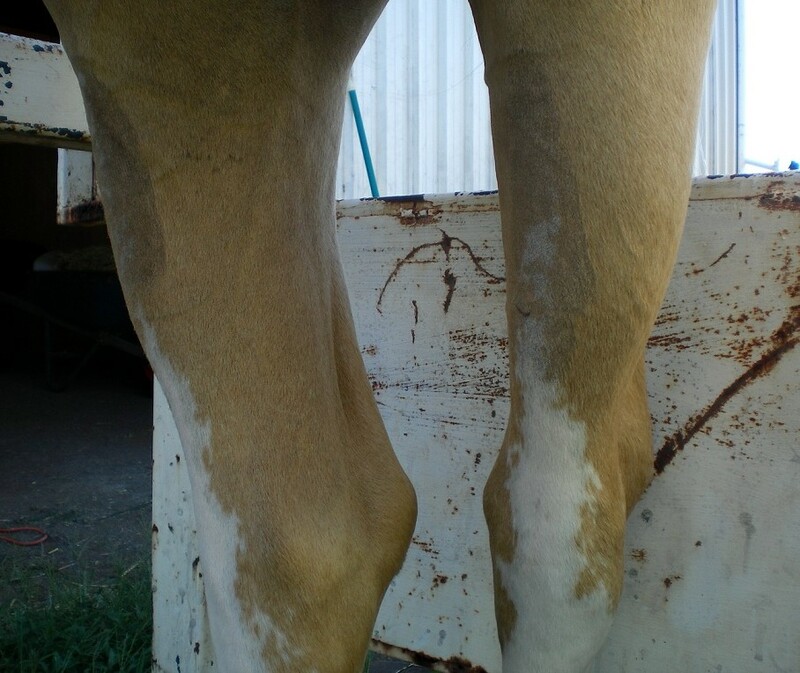 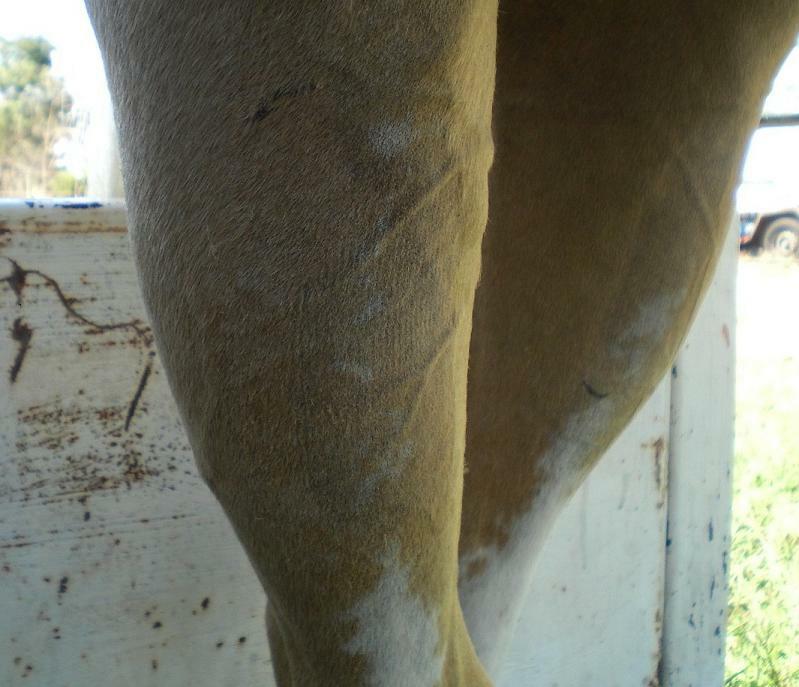 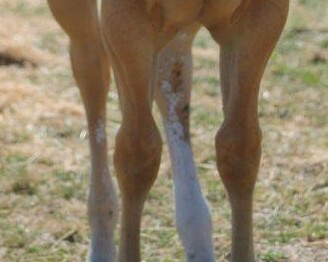 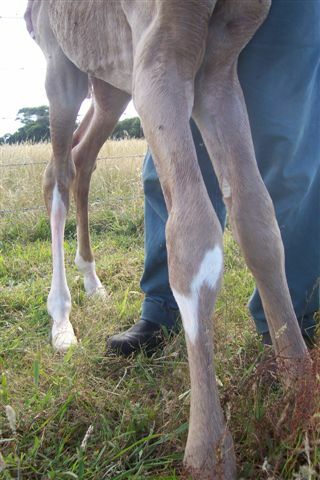 On SOLID dilutes white markings may occur anywhere and in any pattern / shape below the tops of the knees and hocks. 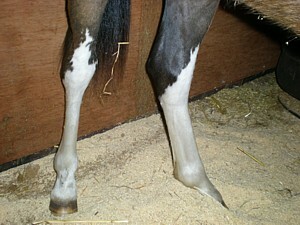 Above this line any white must be in a continuous spear or stripe ie not broken or spotty. 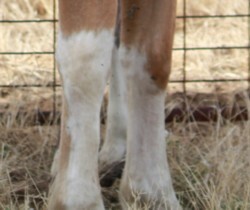 White spots above this line with dark skin underneath are allowed. 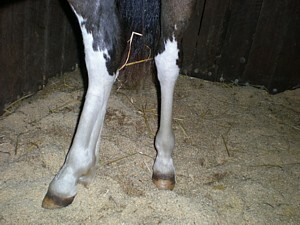 Above is legal because the only white above the top of the knee is a solid, joined continuation of the main leg marking. 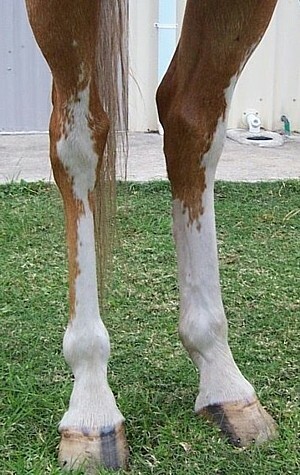 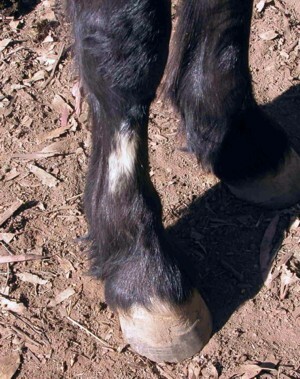 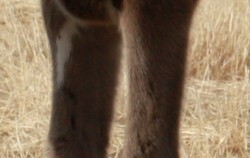 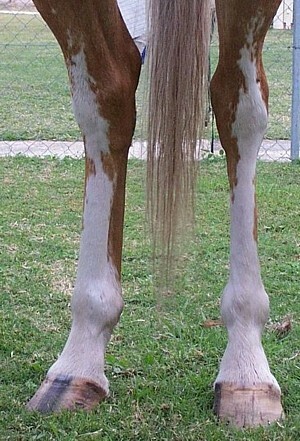 The following markings are allowed IF the skin underneath the white hair on all the spots and flecking located above the top of the hock is dark. 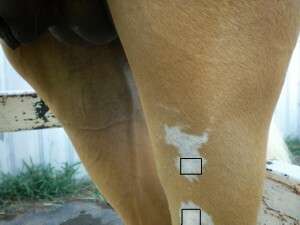 If the skin underneath any of the spots or flecking is pink, the marking is not allowed.